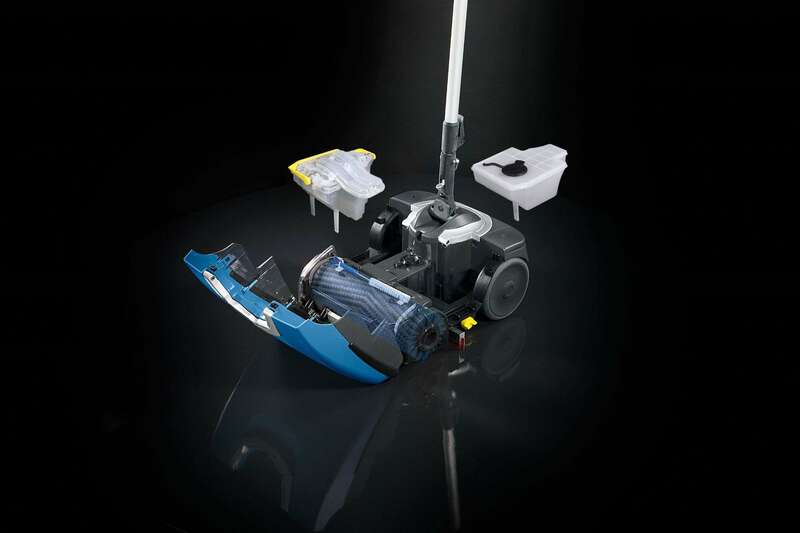 The compact design of the Fimop utilises separate solution and recovery tanks, eliminating the need for a bucket and ensuring that the floor is washed with clean water at every stage. 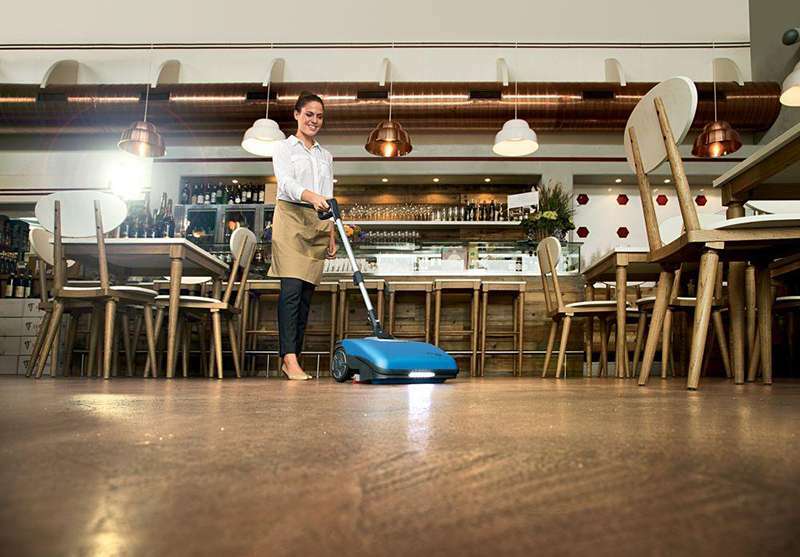 The Fimop washes and dries in a single pass, leaving floors safe to walk on—ideal for restaurants and healthcare, or anywhere where spillages may occur. 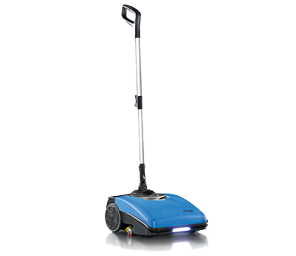 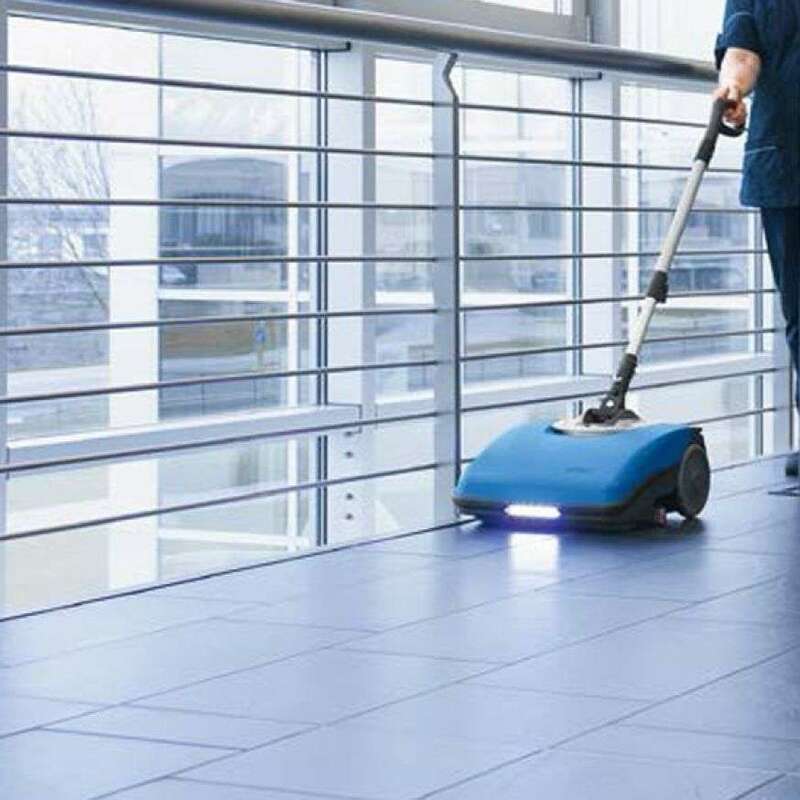 Lithium-Ion fast charge battery system means there are no power leads running across the cleaning area, reducing trip hazards and ensuring the machine is ready when you need it. 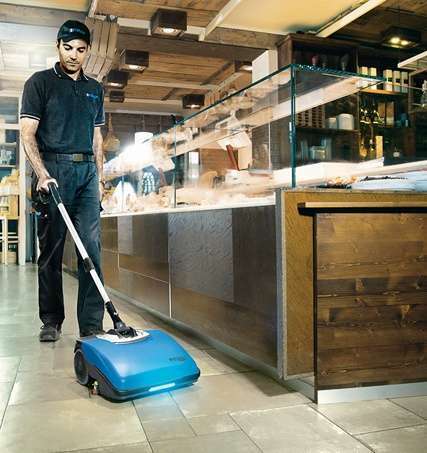 Whether that’s for a quick clean up in Aisle 4, or a full clean at the end of the day. Lightweight and portable, the Fimop can be easily carried by its handle or folded to wheel around like a trolley. 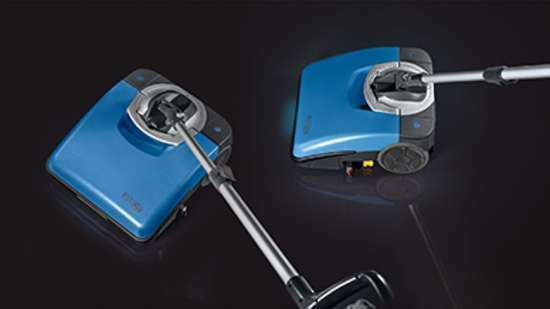 The cleverly designed handle allows the user to move in all directions, including backwards, without having to bend and twist. 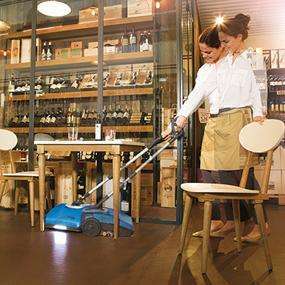 At every level, the Fimop brings the best of cleaning technology into a small form machine that weaves around and under tables and chairs with ease.